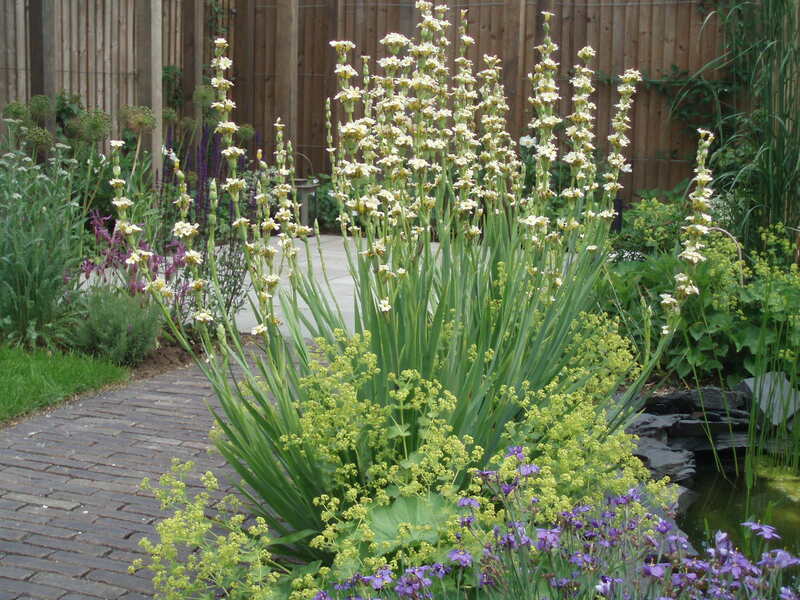 When I first visited this garden it was virtually a blank canvas. 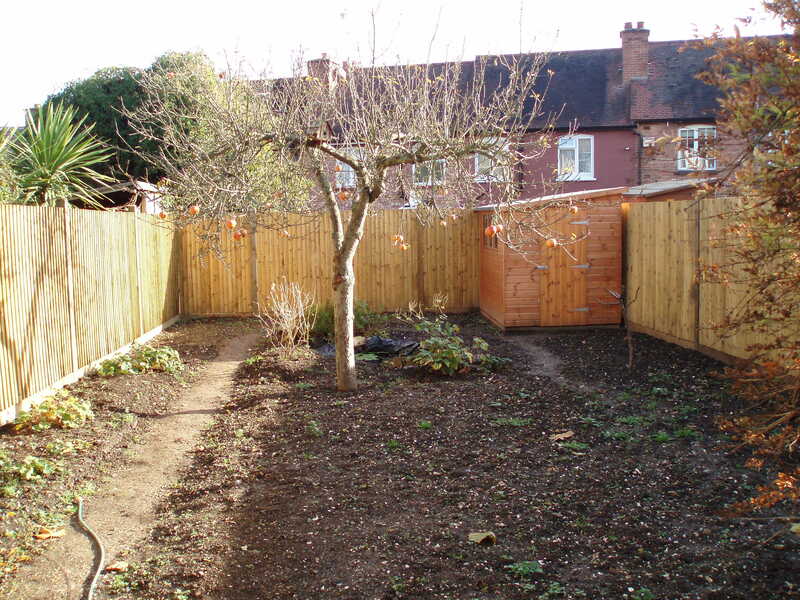 The owners had already stripped out most of the garden and all that remained was a shed, an old diseased apple tree and a very uneven concrete patio screened by a vine covered rickety old pergola. 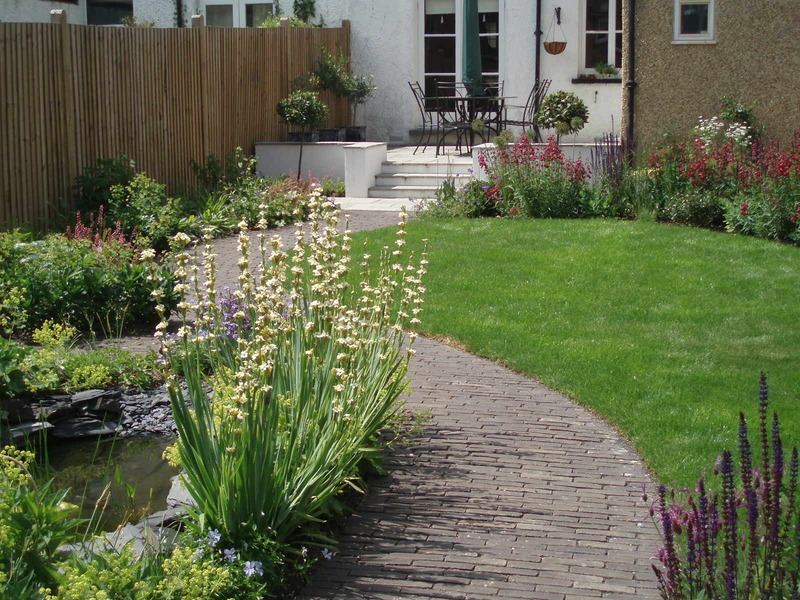 The brief was to open up the view down the garden, and include two seating/dining areas. 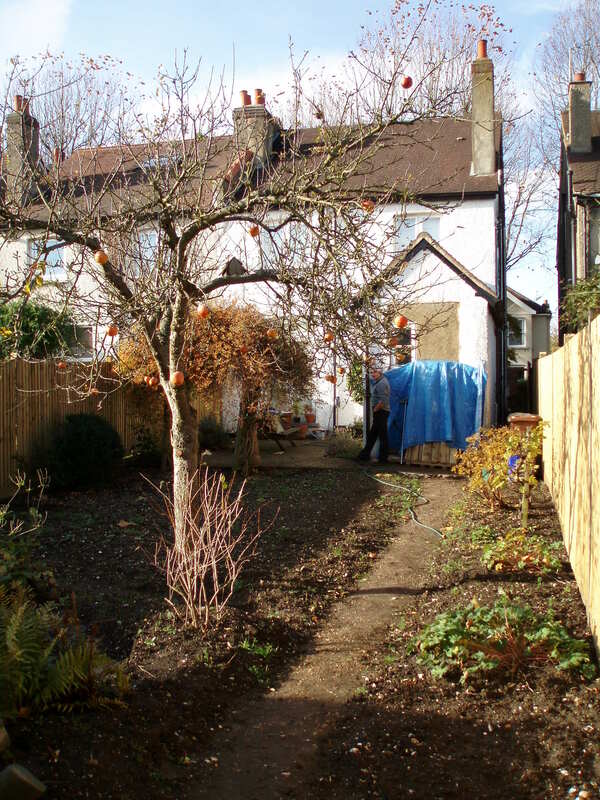 The owners were also keen to have a pond and wanted to have a fruit tree if space allowed. 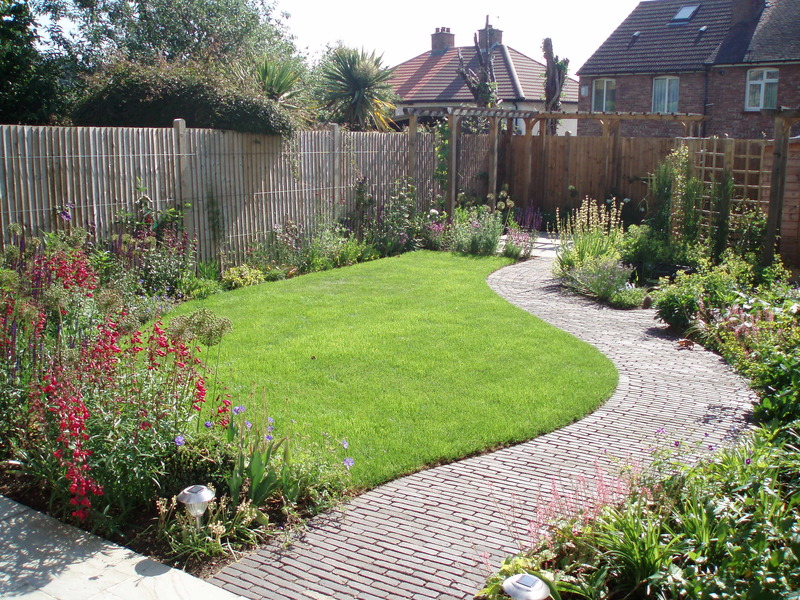 The new garden includes a raised sandstone patio retained by a rendered wall with steps leading down to a curving Belgian clay pavior path. 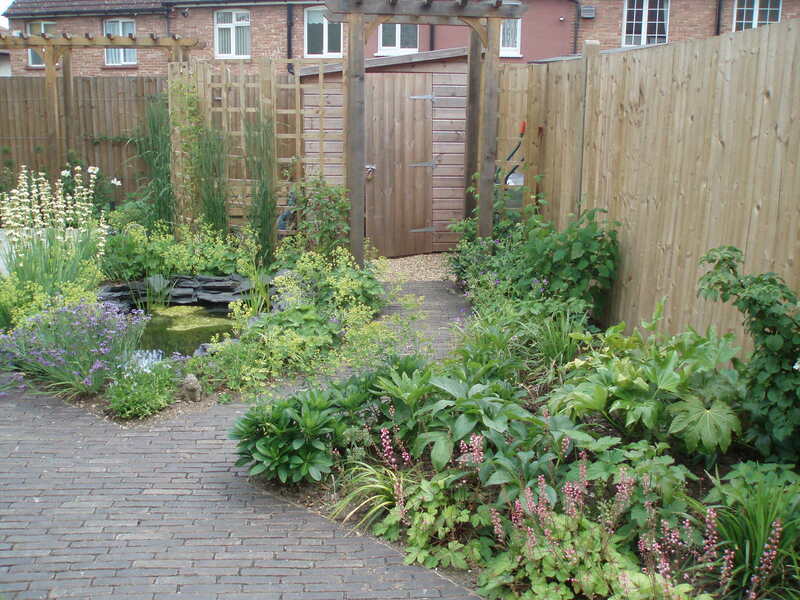 The path branches off by a small wildlife pond to a screened off utility area, accessed through a plant covered arch. 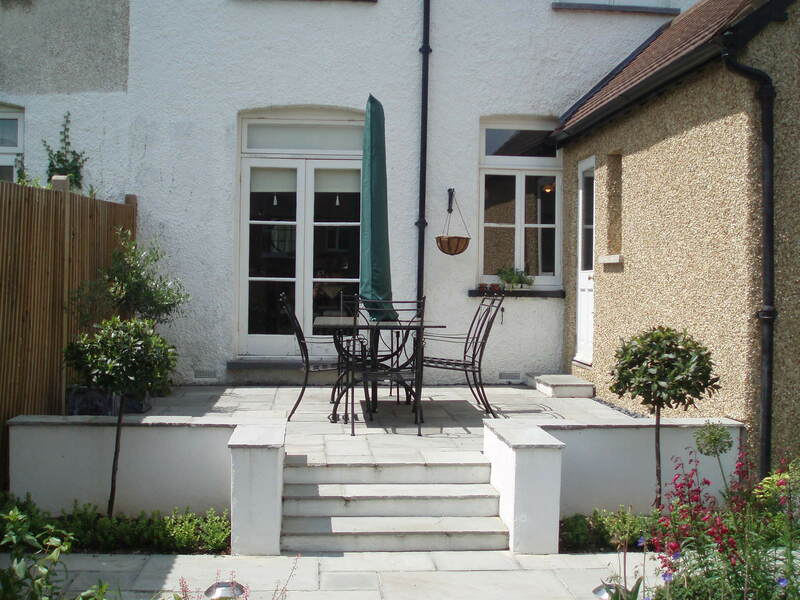 A second sandstone patio partly enclosed by an L-shaped pergola sits in the opposite corner of the garden. 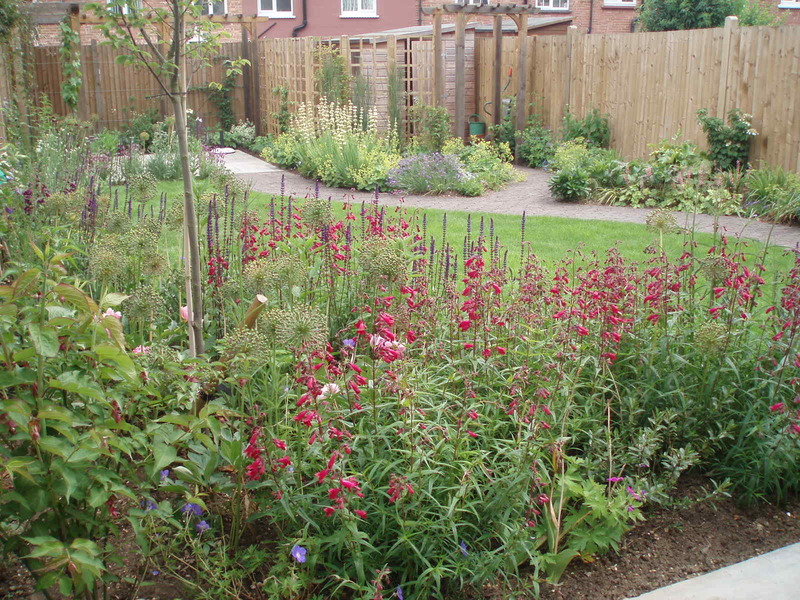 Planting includes an espaliered apple tree and various shrubs, perennials and bulbs to give interest throughout the year.